Packing is indeed a very important part of travelling and if packing is not done correctly then you are most likely to face troubles during your tour. But, keeping your bag lightweight and that too without forgetting or compromising on something that is important, can be a tricky task for sure. Here are some quick tips for YOU! 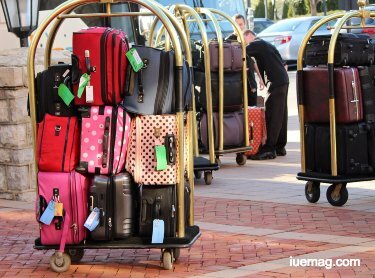 Choosing the right luggage or bag for your travel is very much important. A bag that is too heavy to carry is not a good option while you are travelling as that might cause a good deal of inconvenience during the tour. Instead of leather made heavy suitcases, go for a portable nylon bag with several exterior compartments to keep charger, ipod or any other small items. This is a very simple but effective tip when it comes to packing for your trips. Tons of people who book their trips via Easemytrip coupons have shared this in surveys too. Compared to folded clothes, tightly rolled outfits not only occupy less space but also they are less prone to getting wrinkles. So, next time while packing your travel bag just roll up your clothes and place them neatly one after another in order to save adequate space for including some more clothing and stuffs in your baggage. Keep shoes, extra handbags or other heavy items at the bottom of the luggage. Your shoes, packed handbags or boots can be safe and convenient places to carry smaller items like, belts, jewellery, gloves, socks etc. Maximize the space in your bag by placing underwear, towel, socks etc. in between the heavier items. Do not stuff your bag with more than three pair of shoes, which are versatile enough to team up with different outfits. Layering up your items is the key when it comes to pack like an expert. Place shoes, extra handbags at the bottom and arrange heavier items like denims, jackets, sweaters on top of them. Keep fragile items like cologne, perfumes in soft padded case and place them in the centre of the bag on top of the heavy items. The next layer should comprise of rolled items like track pants, T-shirts etc. Place your folded, wrinkle prone items like shirts, blouses etc. on the topmost layer. Upon your arrival in the hotel, you can just keep the costly, ironed clothing out and hang them in the cupboard. Choose patterns and colours that can be mixed and layered easily. Rather than taking two denims or three skirts/pants, try to incorporate different items of clothing. Wardrobe essentials that are interchangeable and can be worn in different styles for multiple purposes are the best options to keep in your travel bag. For example, there are lightweight sarongs available in market, which can be worn as skirts too! So, go for these options to keep your bag light in weight. Fabrics that can withstand wrinkles like nylon, washable silk, rayon etc. are the best ones to carry while travelling. Take light, thin knit clothes to accommodate maximum number of items in your travel bag. If possible, avoid hefty denims and wrinkle prone cotton clothes as that will unnecessarily eat up space and will need ironing and care later on. Baggage allowance can vary from airline to airline. So, first check out the limit that the concerned airline is providing you while booking the flight offers and then keeping in mind your airlines’ baggage weight limit, you should pack your bag. An empty bag weighing less than 3 kilograms is considered ideal for travelling. Before starting the actual task of packing, you need to have a clear idea about the weather of the destination that you are planning to head towards. 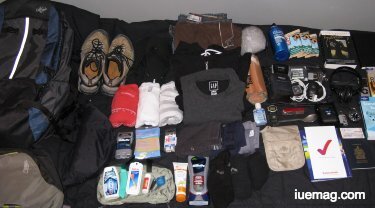 Start your packing by making a list of important items to ensure that you are not missing out in any important items. Pack like a pro and give your shoulders a break with these effective packing tips. Are you a frequent flyer? What are your secrets to packing a travel bag? What do you take into consideration while doing it? Tweet to us @iUeMagazine or share it in comments here. Any facts, figures or references stated here are made by the author & don't reflect the endorsement of iU at all times unless otherwise drafted by official staff at iU. This article was first published here on 13th September 2017.